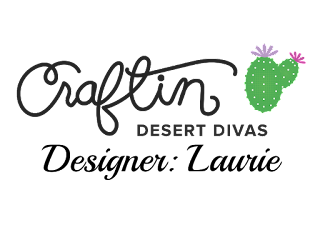 Hello and welcome!! 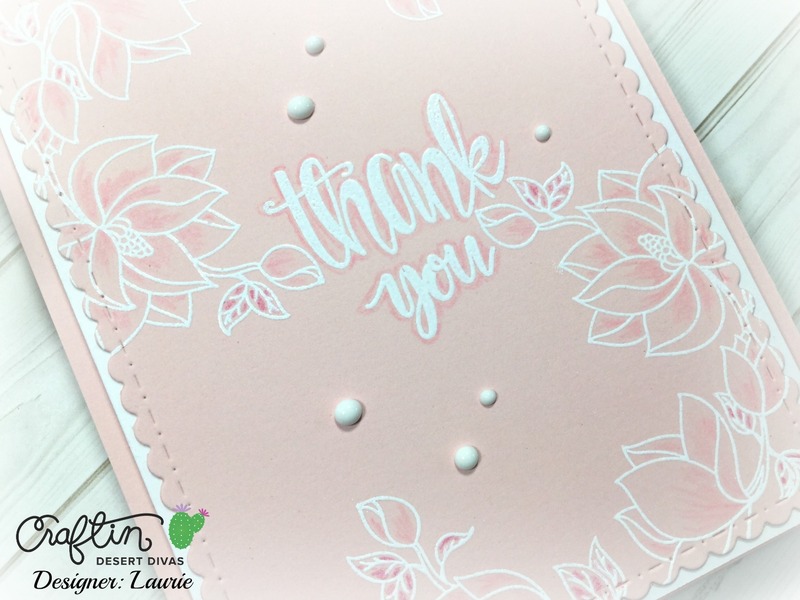 Laurie here to share how to create a monochromatic card. This means using only one colour in different shades or hues to create a beautiful and clean effect. My colour choice was pink because I knew I was going to use the Hello Beautiful Stamp Set. 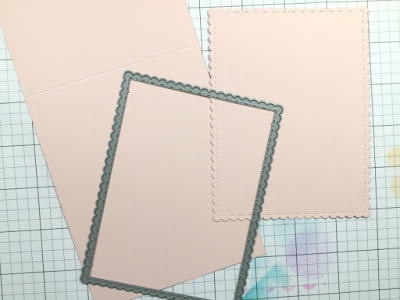 I started by picking a light pink shade of cardstock and used the largest die in the Fancy Frames Die Set to cut out a panel. 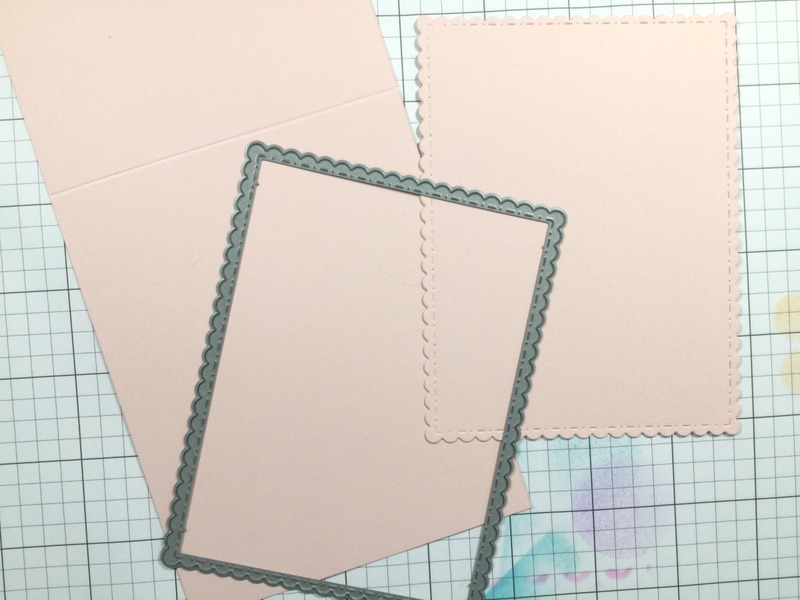 I will be using the same shade for the card base. 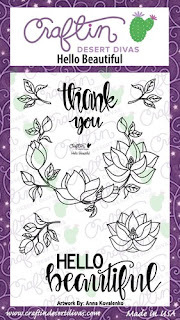 I stamped the large floral image from the set with Versamark Ink onto the die cut panel and heat embossed it with white embossing powder. 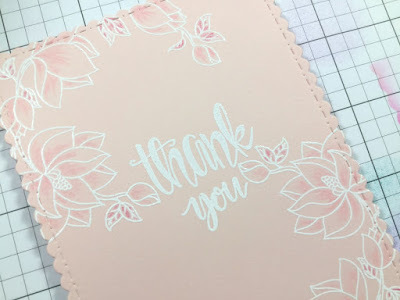 I used the Misti to get perfect placement of the stamping. 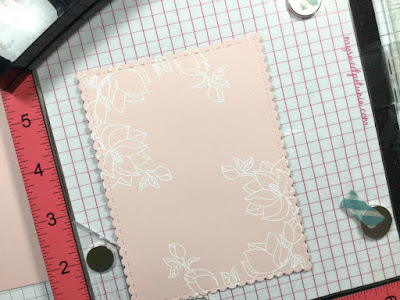 Line the stamp up in one corner, then rotate the paper 180 degrees to get the mirror image in the opposite corner!! I chose two different pink pencils to do some super simple shading on the images. This does not have to be perfect. 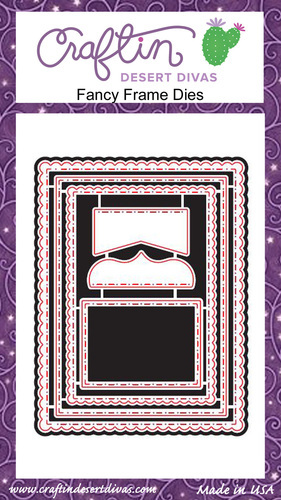 It is simply to add a bit of dimension to a flat image. 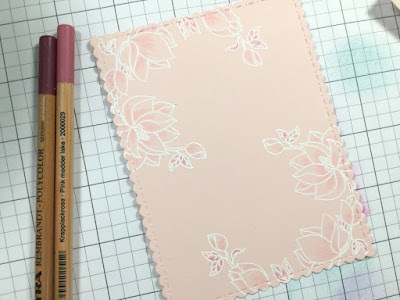 I used a very similar shade to the cardstock on the flowers and used a darker pink for the leaves. 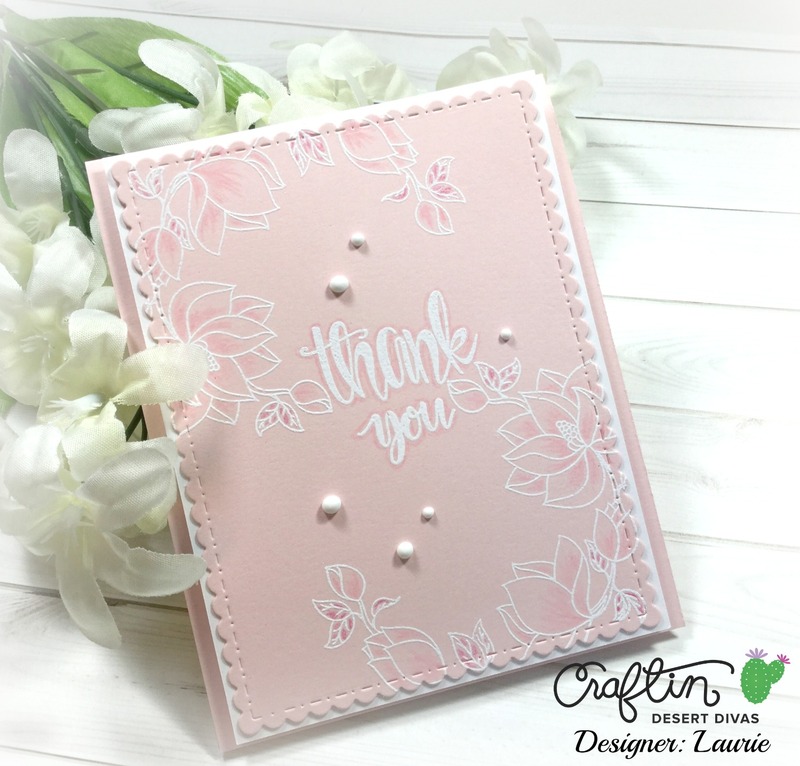 I heat embossed the "thank you" sentiment which is also in the Hello Beautiful set in white. It wasn't quite prominent for me so I did the same thing as with the flowers. I simply coloured around it with one of the pencils!! 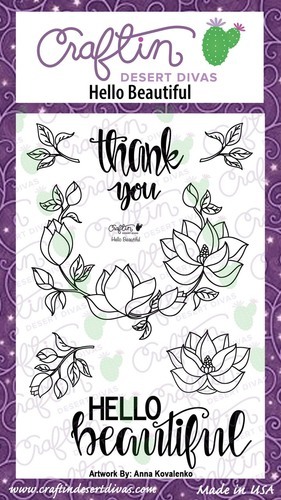 This made the sentiment stand out quite a bit more!! All that was left to do was adhere everything together. I cut a small white mat for the scalloped panel as I thought it blended a bit too much with the card base. I foam mounted the focal panel to the card base with a piece of fun foam because every card I make HAS to have something popped up!! 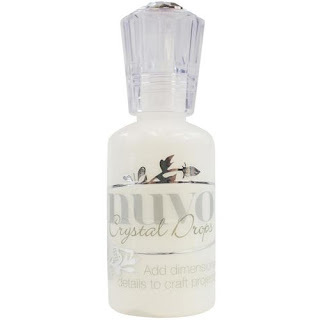 To keep the look "clean", I added some Simply White Nuvo Crystal Drops as embellishments. 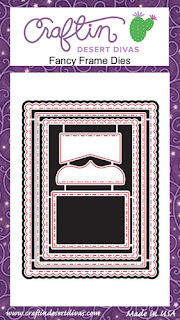 And that's my finished Monochromatic card!! 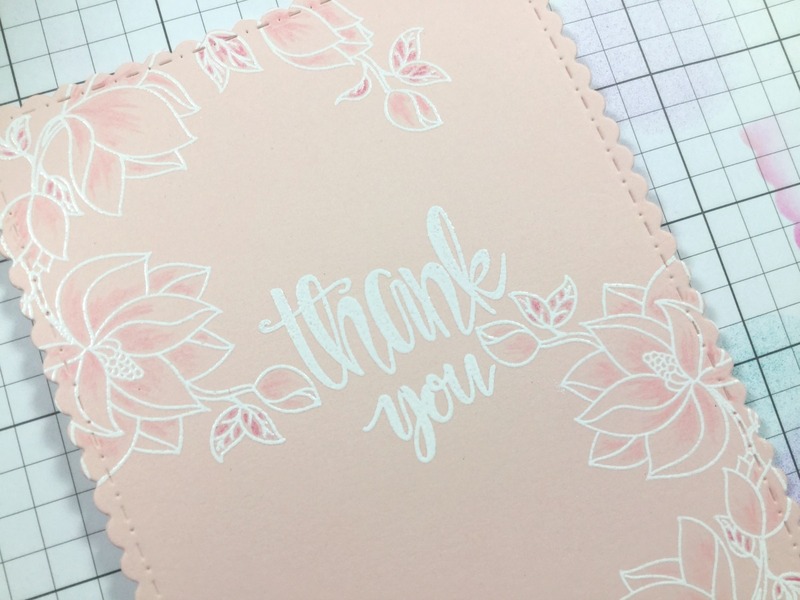 I hope you enjoyed this clean, simple yet very pretty one coloured card!! 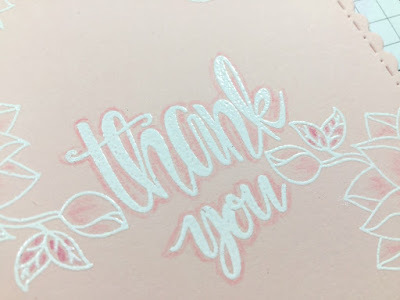 Thanks for stopping by today, I'll see you soon!! !